After an extensive and seemingly exhaustive search, CBS’ Supergirl has finally cast its lead actress. Set to play Kara Zor-El is Melissa Benoist, a former Glee actress who also appeared in the 2014 indie flick Whiplash. At 26, Benoist is at the high age end of the actresses who were considered for the role. Supergirl will follow Kara Zor-El aka Kara Danvers, a young woman born on the planet Krypton who escapes to Earth at age 12 when her planet was dying. She’s adopted by the Danver family, and lives a fairly normal life, at least until a disaster forces her to embrace her powers and use them for good. When the show first began the casting process, CBS mentioned they were looking for actresses in the 22-26 age range to play the 24 year-old titular character. A lot of times shows will cast older actresses and actors to play younger characters, so the casting age should actually be right on the mark, here. THR first reported the news, noting that Benoist wasn’t the only actress to test for the role. Early reports indicated The Vampire Diaries and The Originals actress Claire Holt might be testing for the gig. Just a few weeks ago, Hollyoaks star Gemma Atkinson also seemed to be connected to the auditions. While neither woman landed the gig, they both have one thing in common: blonde hair. 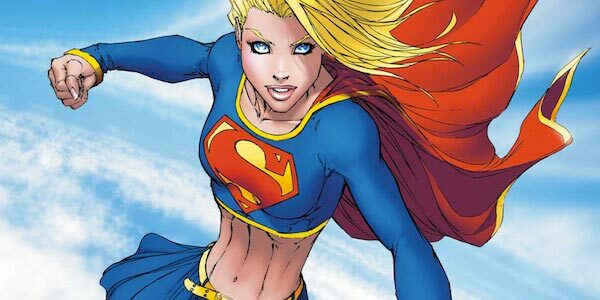 Considering Supergirl has traditionally rolled with blonde locks, Benoist might have a major makeover going down over the next several months. It’s not that I’m advocating that every character needs to have the same hair color as its comic counterpart. The CW’s version of Barry Allen is a brunette while his comic book counterpart traditionally has blonde locks, and it’s not like the hair color change has an effect on the CW’s The Flash. But Supergirl’s hair is a little longer and a little more identifiable as blonde. Helen Slater was a blonde in Supergirl. Laura Vandervoort was a blonde in Smallville and so on and so forth. Luckily, that’s nothing a little hair dye won’t fix, although I’m guessing if they keep her a brunette, we’ll have to stop the presses. Benoist is the first person to be cast in Supergirl and the announcement came with this fun little tweet. However, we do have an idea about some of the other characters who will be present in CBS’ series. Kara’s sister, Alex Danvers, will also be a major part of Supergirl. Other comic characters, like Hank Henshaw and Jimmy Olsen, will also be present.Since it was first announced, Supergirl has been moving forward to series faster than a speeding bullet, so keep your eyes peeled as we get more information in the coming months.